People across Canada’s north have initiated unique community institutions to support a range of social-economic activities that are neither state-driven nor profit-oriented. Though crucial to the health and vibrancy of communities, this "third sector"—artistic, recreational, cultural, political, business, and economic development organizations—has only recently been studied. Developed through the ambitious collaboration of the Social Economy Research Network of Northern Canada, these fifteen case studies show the innovative diversity and utter necessity of home-grown institutions in communities across Labrador, Nunatsiavut, Nunavik, Nunavut, Northwest Territories, and Yukon. This book will benefit readers, researchers, and students interested in social economy, Aboriginal studies, and northern communities. Frances Abele is Professor in the School of Public Policy and Administration at Carleton University and Academic Director of the Carleton Centre for Community Innovation. Chris Southcott is Professor of Sociology at Lakehead University in Thunder Bay, Ontario. ...the book’s chapters are accessibly written and attentive to the nuances of real communities... Together, they hold real value for those who work inside the social economy, those who care about the resilience of communities, and those who make policy.... This book, in short, is a valuable intervention – one that invites North-to-North learning. It also raises a further set of practical and policy questions.... [A] book that deserves a wide reading. 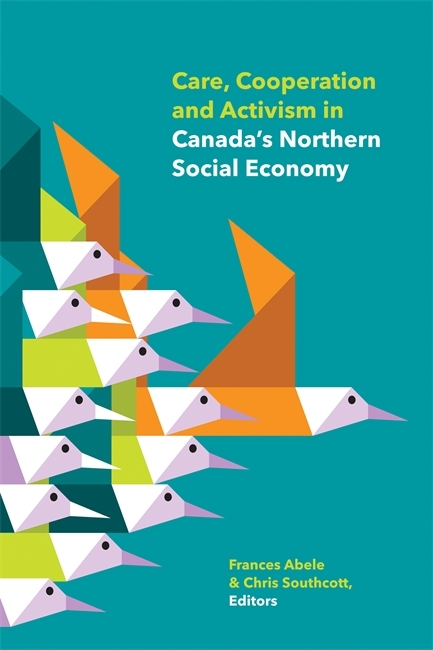 Examining a continuum of northern organizations from a social purpose business to an entirely volunteer organization, this collection makes an important contribution to our understanding of the nature and scope of the social economy within Canada’s North. In doing so, it identifies a range of activities and diversity of approaches used by northern organizations.... The contribution of this collection is strengthened by the diversity of its 15 case studies.... [T]he power of the collection derives from the reader being able to draw conclusions that extend across organizational type, community type, region, and primary focus. Abele and Southcott’s concluding chapter draws out many of these linkages.